Welcome to my IFASA DP! I will updating this blog weekly with articles, news, and other materials all focused around Africa. I will also provide my own thoughts and take aways from the material I find. My goal is to give my readers more information about what is happening in Africa. I am trying to find more positive articles about this continent to hopefully combat negative stereotypes perpetuated by the media. 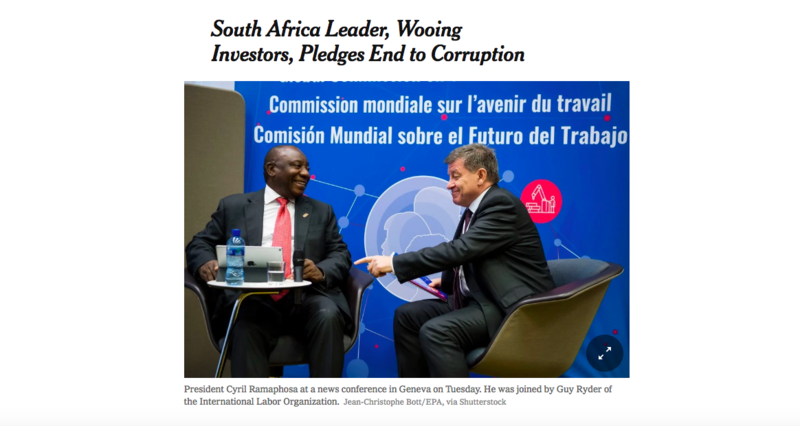 This New York Times article shares how the current President, Cyril Ramaphosa, is trying to end corruption in his political party. President Ramaphosa’s goal is to return the party to its former glory when it was under the Mandela administration. Critics of Ramaphosa suspect he is doing this because he is up for re-election. 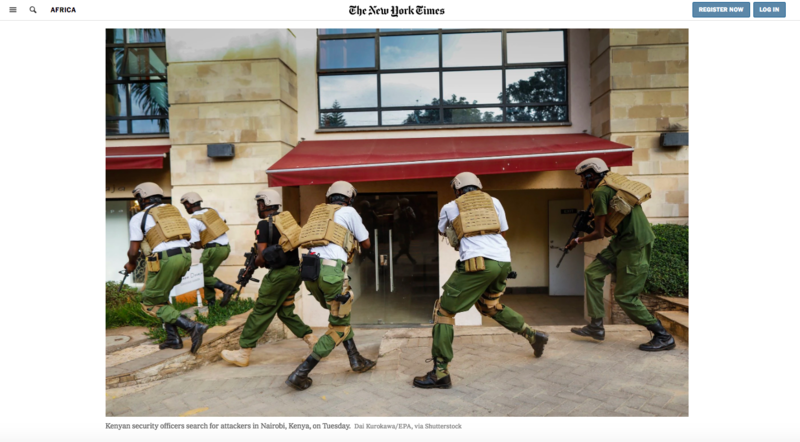 This New York Times article depicts the atrocities Al Shabab committed on a luxury hotel and office building in Nairobi. The assailants stormed these buildings killing one and injuring fifteen. The attack was in response to the verdict form a trial convicting four Al Shabab affiliates who organized an attack on a mall in Nairobi five years ago. When I was scanning news sites to find an article on Africa, this attack was the only story I could find. I went to Africa News out of curiosity, I looked around for news on American, there were articles talking about our countries politics, economics, and pop culture. This made me think the majority of Americans who are reading on American news sites saw a terrorist attack in Africa, while when Africans see American news it’s not all negative. The opposite is true for Americans, our news rarely reports on the positives in Africa. This revelation made me think of an assignment I read earlier in the week, How to Write about Africa by Binyavanga Wainaina, his article was satirical, but its message was clear: Africa is stereotyped as a barbarian continent. American news outlets are perpetuating adverse generalizations about Africa and it is contributing to how Americans perceive the Africans. Moving forward as I continue to look for articles to post on my digital portfolio, my goal is to find and post more positive articles about African than negative ones. As a reader, I challenge you to do the same when reading about Africa in the news.